API Contract Manufacturing. Manufacturing capabilities from our API plants in Spain and Malta. HPAPI Contract Manufacturing. Manufacturing capabilities from our API plant in Malta. We produce Class 4 HPAPIs with OEL down to 40 ng/m³ within cGMP and FDA inspected environments. Flow Chemistry. Continuous flow reactor at industrial scale in our plant in Spain. Medichem can provide scale up services from R&D to industrial scale. In 1980, Medichem decided to relocate its manufacturing facilities in Celrà (Girona-Spain). From 1985, Celrà plant is frequently inspected by the USFDA (Food and Drug Administration). The last six consecutive FDA inspections were with no “Form 483” (the last one was in April 2015). Our Pilot Plant is an independent building used for process validation, process scale-up and also for some small scale pilot production for lots of 15 to 50 kg. Manufacturing Building I is a multipurpose plant devoted mainly to the production of intermediates. It houses the necessary reaction and filtration equipment, for performing a wide range of reactions and for working in almost every process conditions enabling us to manufacture batches ranging from kilo to multi-ton quantities. Manufacturing Building II is a multipurpose plant devoted mainly to the production of the last synthesis steps and finished APIs. It houses the necessary reaction and filtration equipment, for working in different process conditions and batch sizes, ranging from kilo to multi-ton quantities. 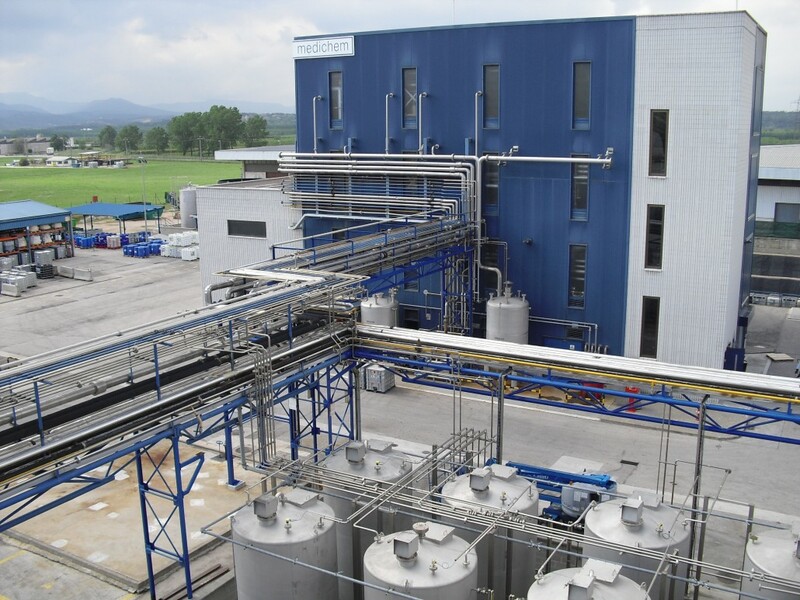 Our Biazzi® Hydrogenation Unit is a GMP, multipurpose and independent plant. The design of the unit makes it suitable for working in a wide range of volumes and pressure. Our finishing areas are equipped with HVAC, air filtration, differential pressures, air-locks, etc. In these plants we have the necessary equipment to dry the product and to obtain a wide range of particle size distribution: dryers, mills, shifters, micronizers, etc. Our Pilot Plant is used for process validation, process scale-up and also for some small scale pilot production for lots ranging from 5 to 50 Kg. Our Production Plant is a multipurpose facility that is fully equipped for the synthesis of APIs. Reaction capacity 9 m3 easily expandable to 30 m3. The Finishing Area is where the last steps of the process are performed. It is equipped with HVAC, air filtration, differential pressure, air locks, etc. to prevent cross-contamination.